A crisp bouquet of citrus flavors, caramelized banana flambé, and freshly-picked wild peaches flourishes to a pleasing marriage of jasmine and earl grey truly incomparable sensory experience. 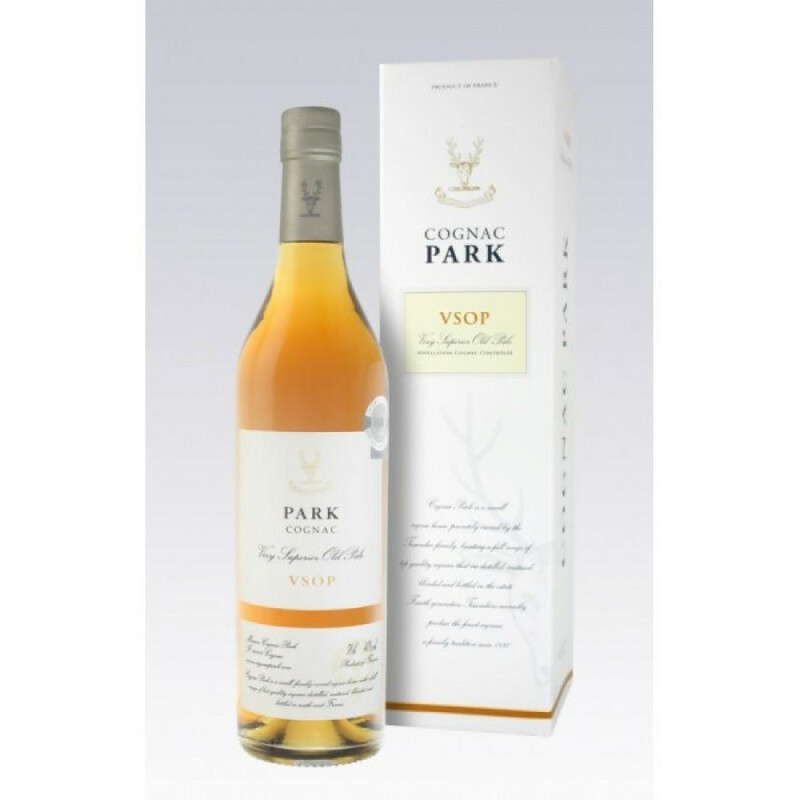 The Park VSOP Cognac is a blend that the cognac house is truly proud of. The aim was to create a VSOP unlike any other... One with a unique mix of clear, crisp flavours that provide a delightful drink for any occasion. The eaux-de-vies that have gone into making this blend were carefully selected, then hand-crafted in small batches to provide a final product that was everything a VSOP should be - and more. This artisan produced cognac offers excellent value for money - and is a truly versatile cognac that any cognac connoisseur will be happy to own. Cognac Park is a brand produced by the large eaux-de-vie group Tessendier & Fils, a wholesaler who has a traceable history dating back to the 19th century. Presented in elegant ‘cognacaise’ bottles, the range encompasses all of the growing regions of the area, and produce blends both young and old. A relatively recent brand, the popularity of Cognac Park is beginning to grow, as more consumers in various countries become aware of its existence. Eye: A light, golden hue. Nose: Floral hints, and aromas of pear, vanilla, and a spicy element. Palate: No review available. There is no tasting review of Bowen VSOP Cognac yet, but the producer writes that the blend makes for a mix of vanilla and floral notes. Bernard Boutinet VSOP Review by producer: "Perfumes of this VSOP are dominated by floral touches expressing themselves in a nutty aroma."